Mobile technology is the revolutionary wave of the existing time and the future. Considering the aspect of mobile technology, we at BroadNet Technologies are going to turn up this year from February 27 to March 02 in Barcelona, Spain to give a demo of an innovative approach and deliver world-class mobile technology solutions to carry the day in the event. In collaboration with our customers and partners, we work across various global industries, physical margins and professed limitations. Join our team members in Hall 8.1, Stand: 8.1D70 in MWC Event 2017 and get involved in conversations and demonstrations about the mobile world domains we specialize in viz. mobile app development, mobile app monetization, and mobile applications for business. In this glorious event of the mobile world, we are expecting your presence. Apart from the discussions and demonstration on the high-tech mobile networking, we will be reveling in some wonderful drinks, and great fun. Our meeting will be a great blast altogether! 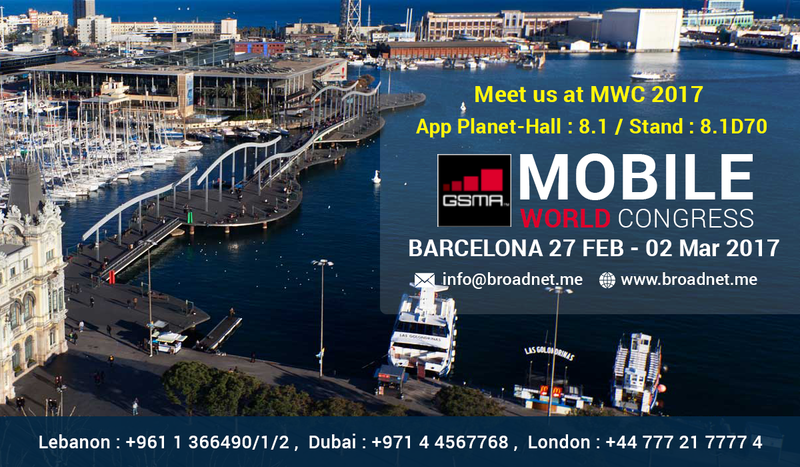 Schedule a meeting with our team at info@broadnet.me for making your presence visible at Mobile World Congress now.